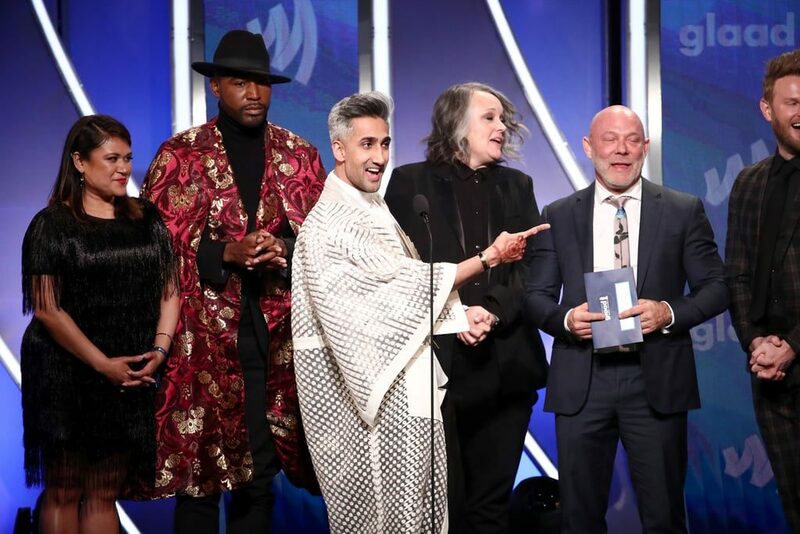 GLAAD, the world’s largest lesbian, gay, bisexual, transgender, and queer (LGBTQ) media advocacy organization, announced recipients for 15 of this year’s 27 categories for the 30th Annual GLAAD Media Awards. Beyoncé and JAY-Z received the Vanguard Award and Sean Hayes received the Stephen F. Kolzak Award from Academy Award-winning actress Allison Janney at the star-studded ceremony at the Beverly Hilton in Los Angeles. Jay-Z and Beyonce took the stage to use their voices in support of the often marginalized and discrminated LGBTQ community. You can watch their full speech below. At the event, celebrities sported blue “&” pins for GLAAD’s Together movement. They were representing GLAAD’s work on intersectional issues including immigration, racial justice, women’s rights, and LGBTQ acceptance. This subtle yet powerful symbol represents the power of solidarity and great accomplishments that occur when marginalized community groups including: women, Muslims, immigrants, people of color, and LGBTQ people resist together.